Marana is located just 30 minutes north of Tucson, a growing rural community with a wide variety of neighborhoods attracting young families as well as baby boomers. 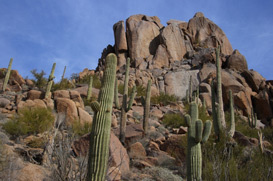 The natural desert backdrop offers over 6200 acres of foothills, canyon & Tucson & Tortolita mountain views. Marana is home of the Accenture Match Play tournament and had been discovered as the Golf Mecca of the Southwest. Marana is known as a “golf friendly” community, with 4 golf courses with in the area, making it a favorite with the PGA Tour. The real estate in Marana has been one of the fastest growing areas in Tucson because buyers want to live in a place that knows how to plan for growth and attract upscale shopping centers. Housing is very attractive in the Marana area, with the average sales price hovering around $200k. Since 2000, Tucson and Pima County have experienced a booming population growth, with Marana at 519 percent! In the Marana Unified School District there are 11 elementary schools, 1 intermediate school, 2 middle schools, 2 high schools, and 1 alternative school, (National Blue Ribbon). The Vallee Gold Team…Earning Your Business With Hard Work Experience and Service!